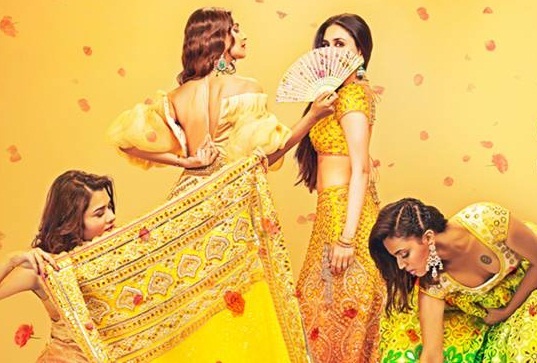 The Central Film Censor Board banned an all-women Bollywood film, Veere Di Wedding, from releasing in Pakistan. The censor board has banned the Kareena Kapoor-starrer over vulgar language and objectionable sexual dialogues in the film. Danyal Gilani, the chairperson of the Central Board of Film Censors (CBFC) told Indian news agency IANS that members of the CBFC unanimously decided to not allow the film for public exhibition in the cinemas as its content flouts the Censorship of Film Code 1980. The film releases in India on Friday. Veere Di Wedding stars Kareena, Sonam Kapoor, Swara Bhasker and Shikha Talsania who are friends in the film. Rhea Kapoor, Ekta Kapoor and Nikhil Dwivedi have co-produced it. This is Kareena’s first film since she became a mother and Sonam’s first to release after her wedding.